What do you do when you don’t know where God is leading you? The Rev. Gideon Tsang’s tale is one of risk and reward -- but it isn’t just a success story. The pastor of Vox Veniae shares some painful failures and struggles he and his congregation experienced as they planted a church and then tried to figure out how it could serve the changing city of Austin. 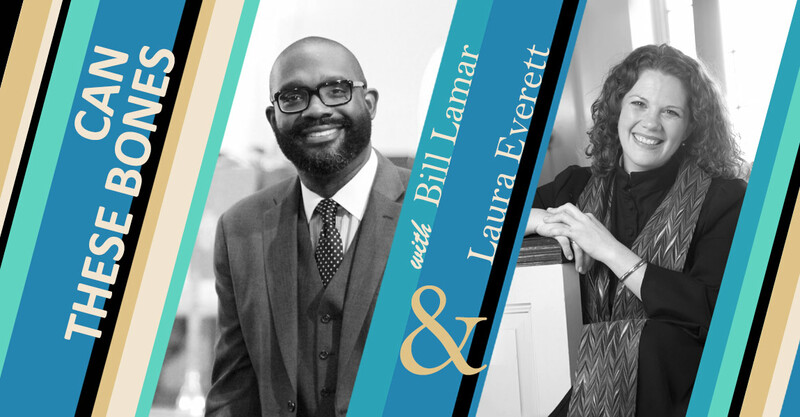 In his conversation with co-host Laura Everett, he also talks about self-reflection, creating a learning community and moving forward without a grand vision. Bill Lamar: Today we are hearing from Gideon Tsang, a pastor at Vox Veniae in Austin, Texas. You spoke with Gideon about the experience with Vox. Give us a little background about it. Laura Everett: Oh, Bill, it’s a really good conversation. I got to talk to Gideon Tsang, who is a pastor and teacher at Vox Veniae, a church plant in Austin, Texas. Now, Vox Veniae means “voice of grace” or “voice of forgiveness,” and it’s been a generous invitation to Austin, Texas. Austin is a fascinating city. It’s full of artists and creative types, and it’s young. And this changing demographic has really posed a challenge to this congregation, because Vox started 11 years ago as a church plant of the Austin Chinese Church. When they began, their membership was really young, and it was primarily Asian. But they wanted a church that reflected the city in which they lived, and so they made some pretty significant moves to new neighborhoods and noticed that their community was changing around them. They wanted to be what Gideon calls an “indigenous church plant,” so they moved from a downtown office building to an abandoned nightclub in a mostly black neighborhood in East Austin. And then they had this task before them of figuring out what it meant to authentically be in that neighborhood. All the while, Austin is this city of artists, and suddenly all of these artists showed up at church as well, and they had to figure out how to serve both communities. So Vox is just a fascinating example of a church that really struggled with their identity as the neighborhood gentrifies, as the congregation reflects the demographic changes in the city. I really appreciate this conversation with Gideon, because he’s honest about the failures, and honest about how hard it was to become a learning community. I think even if you aren’t starting a new church, there’s a lot to learn from Gideon’s experience of experimentation and evaluation and paying close attention to the changing community around you. Laura Everett: Gideon Tsang, we are so grateful to have you on “Can These Bones,” a Faith & Leadership podcast. Gideon Tsang: Thanks for having me. Laura Everett: So, Gideon, the original congregation of 300 to 400 people was 99 percent college student and 99 percent Asian, and then you went through a massive change, a change even down to 70 members. When you lose half or more of your church, how do you know that you are on the path that God’s called you to? Gideon Tsang: That’s a good question. You don’t. And it feels terrifying. It kind of feels like you’re doing something wrong, actually. Laura Everett: Why did you make those changes? What was the precipitating factor or event that led you to not just move neighborhoods but really change who you thought your congregation was? So that’s really what started it off. It was very pragmatic. Unfortunately, we weren’t smart enough to have a grand vision of what this community was going to be like and how it was going to be in the city. We really didn’t know. We had a lot of questions, and not too many answers. Laura Everett: ... and an event space. And so I’m curious about how the constraints informed some of your decisions. Gideon Tsang: Yeah, that absolutely -- because we came from an established mother church, the immigrant church, and they’ve been around 20, 30 years. It was a community of 1,000, and a lot of established families and resources, and so you just throw money at problems. And then suddenly, we left the nest, and none of that was available. And as hard as it was, it was probably the one thing that really fostered us to move beyond what we were comfortable with or knew, because we really didn’t have a choice. We couldn’t just find a problem and throw some money at it. Laura Everett: So you ultimately ended up in a place that became known as Space12. It was a shuttered nightclub. It had been a place of violence, even a place where a police officer had shot a black teenager, right? Laura Everett: That is an unlikely space. I mean, a nightclub is an unlikely space for a church, but a place of violence, too -- I’m wondering, what changed for you because you were in that place? And honestly, when I stepped into the building, it was so overwhelming. I wasn’t even sure we had the capacity or the resources to take on something like this, or even just the education and the understanding and the history of that neighborhood, and the racial tension and what had happened. Laura Everett: That’s remarkable, that communal decision-making process. One of the things that’s so fascinating to me about Vox is you are aiming to be an indigenous plant, an indigenous plant in your neighborhood, but that requires really knowing your neighborhood. And so I’m wondering, what are the practices for you, for your congregation, of a close read or a close assessment of what will grow in a particular neighborhood, or what’s in the soil of a particular neighborhood? And in reality, we fixed it up, opened the doors, and then nobody came in. There was actually a cricket problem the first year, so it was literally me, by myself, sitting in the building, with crickets chirping in the background. Laura Everett: That’s so rough, Gideon. It reminds me of -- you know, Wendell Berry has that one line, “It’s the impeded stream that sings.” And that’s been true of our story. So mainly, we’ve had a lot of impediments. Laura Everett: Yeah, and some communities that encounter impediments decide that the response is to do more and to go harder. As a community, how do you discern the difference between an impediment that informs a different kind of decision and one that’s worth sort of working away at? Gideon Tsang: Yeah, that’s a great question. You know, it’s probably just trusting that if we do the best we can to listen well, even sometimes things we do maybe even out of the wrong motive, God can use that, if that makes sense. And then there are still decisions that we’ve made that I’m still thinking through. That’s really complicated. Austin’s a complicated city. It’s one of the fastest-growing cities in the U.S. It’s quickly becoming more and more monocultural, so as all the educated creatives move in -- primarily white, middle-upper class, educated -- there's 100,000 people moving every year, and that’s who’s moving in. So it’s really pushing out diversity. And then, as you ask that question -- What are the impediments that we’ve discerned well, or not? -- some of the conversation we’re having is, for better or for worse, we’re trying to be a part of the neighborhood and help, but we also help gentrify the neighborhood, and that’s not a good thing. So we’re constantly asking these questions and constantly evaluating and then just hoping that our flawed efforts are the best we can, and God can use flawed efforts and flawed people. But it’s a tricky one. We’ve made a lot of mistakes, and some have been redeemed, and some we’re kind of still wading through and trying to discern. Are you conscious about what kind of pace of change your community can handle, and then what’s the stuff that you just don’t want to change? Gideon Tsang: Yeah. So early on, we changed everything all the time. Laura Everett: Like, every Sunday? Gideon Tsang: Well, OK, so I know a lot of people aren’t into the Enneagram, but my Enneagram type is a 7, so I’m the optimist. I like change, and I like new things. Things need to be new and fun and fresh. And so in hindsight, this is what happened. You start a church, or you’re a part of a community that starts a church, and then it comes with a lot of anxiety -- or I had a lot of anxiety. So the way to appease my anxiety is I start new things, if that makes sense. Gideon Tsang: Which is a terrible -- it just gives you more reason to have more anxiety. So you start a church -- “Aah, what am I going to do?” Let’s start a nonprofit -- “Aah, what am I going to do?” Let’s start an intentional community -- “Aah, what am I going to do?” And you keep starting things. And then in our first five years, just a trail of bodies burned out, and I almost burned myself into the ground. And then coming back, I took a sabbatical. We had a difficult staff situation. We had to navigate that. And then, right around that time, God brought people who we really needed. Specifically, there’s a family -- he’s a spiritual director; she’s a therapist. She teaches at the Episcopal seminary now. And they really helped us take what was really hard and kind of hurting and wounded, a lot of open wounds still, and just start to give space and time to start healing, create a space that’s just safe enough just to talk about mistakes and things we really needed to process. That doesn’t feel terrifying to say that. So what is that? What is that version of a life together? Laura Everett: Gideon, I’m so grateful for the story of a new church start that is not just a victory lap, that is a story of birth and death and rebirth, again and again, with a kind of humility. Because there’s so much shame in the church around failures of innovative efforts. And so to hear you talk about real places of wounding and things that were redeemed and were not redeemed, I think, is a gift. Thank you. Gideon Tsang: Yeah, thank you. And, you know, to me that just feels like a better way to engage life and each other, right? I remember thinking my parents -- I think a lot of people have this experience, [thinking] their parents have it all together, or their marriage. Or even, you know, folks in their 40s, when we were teenagers, it kind of felt like -- for a lot of us, not all of us -- like our parents kind of had it figured out and had it all together, but it just turns out they were really good at faking it. And so no one told me how hard starting a church is, and I think it’s probably more helpful if we just tell those stories. And then I do think that the stories in Scripture are so raw in that way -- the depth and the pain and the violence of life -- I think it’s so honest that sometimes we have a hard time even engaging those stories. But those are still our stories, right? Laura Everett: Gideon, I believe that the story of Vox and the story of your leadership and the leadership of the community with you in East Austin is a story that will breathe life into the people that hear it this day. I want to thank you for being with us on “Can These Bones,” a Faith & Leadership podcast. Thanks, Gideon. Bill Lamar: That was my co-host Laura Everett’s conversation with Gideon Tsang, pastor at Vox Veniae in Austin, Texas. As I listened to your conversation, it struck me how often Gideon talked about failure, about mistakes that they’d made, about things they’d done wrong. One thing I found interesting is, how do you lead a community, an institution, with that kind of honesty? Willing not only to be self-reflective about failure internally but to share that narrative, and to invite people into failure as a learning opportunity and not as something that freezes activity and causes stasis. How did you experience that part of the conversation? Laura Everett: I think it’s really profound, Bill. I actually think, especially for new church plants, there’s so much pressure to succeed, right? Like, the model that we’ve got in many places where there’s a denomination or a mother church that’s supporting it is you’ve got three years or you’ve got five years and then we’re pulling your funding, or you’ve got to be self-sustaining by that point. And it puts so much pressure on the congregation to thrive immediately and not experiment. And so, that Gideon was really honest in talking about the places that just didn’t work -- I think that really cuts against the sort of church plant culture and also the tendency to only tell our stories of successes. I appreciate that they are a congregation that actually takes some risks. And I know in my own institution, at the [Massachusetts] Council of Churches, there are many times, especially as I began, that I’ve felt like I was playing sort of safe and close. And that that first level of work is really cleaning up and clarifying what’s going on. But taking the big risks and actually failing is something I feel that I need the sort of pastoral courage that I hear in Gideon’s story. Bill Lamar: So as I look around Metropolitan, and I’m sure as others look around their churches and institutions, there are a number of risks that should be taken. And based on your conversation with Gideon, how do you know when it’s time to take the risk? How do you know when it’s time to really, really move in that different direction that you have been thinking about, praying about, and hoping to begin to engage? How does that happen? Laura Everett: Part of what was so remarkable about the conversation with Gideon is they really did step out in faith, not entirely sure where God was leading them, right? Like, the move to East Austin to a neighborhood that was not yet the multicultural place that they wanted to be -- they felt like that’s where God was calling them, but they didn’t have any assurance that that was the right place to go. I was really struck by that, that they were clinging to their core values. They knew that they wanted to be a church that reflected the diversity of their city, but they weren’t sure how to get there, and so to place a stake in the ground, to set out in a direction, is a really brave act. My sense from Gideon was that they knew what their values were; they weren’t actually perfectly convinced that that was the right direction they needed to be going in. Bill Lamar: So sometimes indeed we have to move without having perfect clarity. That might be one of the perennial conditions of leadership. Something else that struck me, Laura, was it seems like the community of Vox Veniae is a community of learners. How do you get folks, even in the midst of taking risks or in a more stable, older kind of situation -- as you have and as I have at the places where we are -- how do we develop these communities of learners? Laura Everett: Yeah, that’s one thing that comes through really clear in Gideon’s conversation, that they are doing a lot of active reflection. Both Gideon is doing that on his own, and he’s doing it with his leadership team. So I know for the Council of Churches, we had a pretty strong practice, when I came, of reflecting on what we were doing and asking good questions, but we were doing it casually. And at some point, I started to realize we were dropping some really critical bits of information. We weren’t retaining the evaluations that we were doing, and we actually had to formalize it. So it’s not that we’re doing something new, necessarily; we’re trying to hold on to the information differently. We’re writing down our evaluations and keeping file folders, so that we can see what we’ve learned. But I think the reality is that even for established congregations, established institutions, we are where Gideon’s community is; we are where Vox is, where there are a lot of questions and there are not a ton of answers. Does it feel like that to you at Metropolitan, Bill? Bill Lamar: Very, very often I feel like I am afloat in a sea of more questions than answers. I’ve learned in my practice to become more comfortable with that. But still, decisions have to be made. And so I think what Gideon reflects and what you share about your work at the Council [of Churches] is we seek to reflect -- and sometimes it seems like you can reflect ad nauseam -- but you do have to think about what you’ve done in order to chart a clearer course toward what it is you’re trying to achieve by way of vision, and trying as best we can to build consensus. Bill Lamar: But trying to figure out -- you could really, really get into a place as a leader where you feel crippled. So learning to listen, but also learning what comments actually are the kinds of comments that will help you to develop as a leader and help the institution, and which comments just are a part of your being a leader and having to graciously and generously hear feedback, even if all of it may or may not be helpful. One of the things that I thought, Laura, was very helpful was Gideon’s clarity around pushing back on having a grand vision. I know everywhere I’ve been -- Metropolitan is the fifth church that I have served as pastor -- but my first day, people wanted to know what was the vision, what was my vision. Walking into an institution nearly 200 years old, what was the vision of a 39-year-old? Which I thought was a ridiculous question, because I didn’t know the people, and I didn’t yet know the culture. And so Gideon being willing to say not having a grand vision could really make you more nimble, having a space where people are learning, where people are discerning, and where you’re struggling -- oh, it is very difficult to struggle toward consensus -- but struggling to get to consensus. And then I think it seems to me that Vox Veniae got where they are by degrees, not so much leaps of faith as very small steps of faith, and now we are seeing a budding community that is still toddling in ways, but toddling in ways that invite people to come and participate in their forward movement. Bill Lamar: It’s the most sense I’ve made all day, Laura, the most sense I’ve made. Right, like -- and I do think that changes with age and experience, that wisdom about what feedback do you take seriously and what feedback do you thank and put in the bottom file and just leave. I think that’s part of what I’m hearing about the sort of wisdom of discernment, but also that lack of a grand vision and living with the uncertainty -- I think that’s part of the new normal for the church. I really do. I think if we’re to be careful observers of the community around us, and to really trust that the church is eternal but our institutions are not, then we’re going to have to get flexible in a kind of way that we haven’t had to practice before. And I think that’s going to mean learning to live with a lot of questions, learning to live without sort of a grand master plan, and learning to cultivate a sort of spiritual discipline of flexibility that allows us to stay grounded in those core values that we heard in Vox Veniae. But also a flexibility about how those get enacted. Bill Lamar: Well, I think, Laura, the church has to be less Hannibal from the A-Team, who always said, “I love it when a plan comes together,” and more like John on Patmos, which I love. As Revelation comes to an end, he says that he came to a city and there was no temple there, but the presence of God was there, and that was the light. And so what encourages me is all of our institutions -- all of them that we serve -- they’re wonderful. Our churches are wonderful, but they are temporary. And they are meant to cast the light of God’s presence and God’s holiness in the world, God’s justice, God’s beauty, but the time comes when the institutions fall away. And so I think you’re exactly right. We are grasping, but we are also being led, and that can be a very difficult space for leaders. But I think it’s where we find ourselves. And as much as it can be terrifying, it’s also exciting. And as we read history and see history unfold in Vox Veniae through Gideon Tsang and those who are there worshipping with him and building that community, we see people taking small steps, and those small steps have indeed taken the church to wonderful places, and so we hope that we’ll continue to do so. Laura Everett: Bill Lamar, I think that is a wise word preached and proclaimed, and I do think that is the first time I have ever heard anybody try to tie together Revelation and John of Patmos and the A-Team. So a deep bow of respect to you, brother. I appreciate that. Bill Lamar: I’m a child of the ’80s, a child of the ’80s. Born in the ’70s, but a child of the ’80s. Laura Everett: Thank you for listening to “Can These Bones.” I hope you enjoyed it as much as we did. There’s more about Gideon Tsang, including a Faith & Leadership story about Vox Veniae, on our website, www.canthesebones.com. Bill, who are you talking to next? Bill Lamar: I had a wonderful conversation with my dear friend Kate Bowler. Kate is a church historian at Duke Divinity School, and she’s an expert on the prosperity gospel. She’s also written a memoir about having stage 4 cancer. Laura Everett: Oh Bill, wow, there’s going to be a lot to learn from that conversation with Kate. Thanks for speaking with her, and I’m looking forward to listening. Bill Lamar: “Can These Bones” is brought to you by Faith & Leadership, a learning resource for Christian leaders and their institutions from Leadership Education at Duke Divinity. It’s produced by Sally Hicks, Kelly Ryan Gilmer and Dave Odom. Our theme music is by Blue Dot Sessions. Funding is provided by Lilly Endowment Inc.
We’d love to hear from you. Please share your thoughts about this podcast on social media. I’m on Twitter @WilliamHLamarIV, and you can reach Laura on Twitter @RevEverett.You can also find us on our website, www.canthesebones.com.